This study aimed to determine the dose effect of smoking on the mutational frequency and spectrum of epidermal growth factor receptor (EGFR) gene in Korean non-small cell lung cancer (NSCLC). 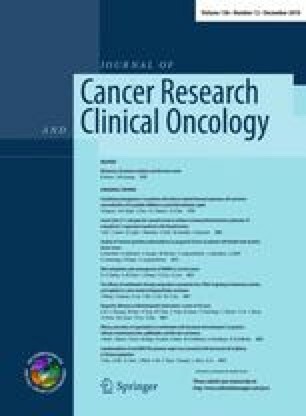 Detailed smoking histories were obtained from 324 consecutively enrolled Korean NSCLC patients. Mutational status of EGFR (exon 18–21) was determined using nested polymerase chain reaction amplification. A total of 108 EGFR mutations (33.3%) were identified in 107 patients. Decreased EGFR mutation rate with increased smoking dose was observed, with 48.0% (82 of 171) in never smokers, 23.1% (15 of 65) in former smokers, and 11.4% (10 of 88) in current smokers. The incidence of EGFR mutation was significantly lower in patients who smoked for more than 25 pack-years (P < 0.0001) or who stopped smoking cigarettes less than 10 years ago (P < 0.0001). Mutations in exon 19 or 21 were associated with fewer total smoke years (5.0 vs. 25.0 years in exon 20, P = 0.024), fewer total pack-years (6.3 vs. 38.9 pack-years in exon 20, P = 0.079), and more smoke-free years (11.1 vs. 3.6 years in exon 20, P = 0.027), compared with those in exon 20. Mutations in exon 19 or 21 were associated with female (P < 0.0001), never smoker (P < 0.0001), and adenocarcinoma (P < 0.0001), whereas those in exon 20 were not. Smoking dosage affects the incidence of EGFR mutations. EGFR mutations in exon 19 or 21 are associated with low exposure to cigarette smoke, whereas EGFR mutation in exon 20 is more common in smokers. This study was supported by a faculty research grant of Yonsei University College of Medicine for 6-2009-0066. We thank the members of Lung Cancer Clinic Severance Hospital for thoughtful discussion and review of the manuscript.